Hiring an individual with relevant or direct experience and a degree should net you a successful employee–in a perfect world. In reality, however, there are many more factors that determine the performance level, longevity and ultimate success of an employee on your team. Human interpersonal relationships, which typically depend upon the company atmosphere, morale and culture, are huge determining factors. It turns out, that if an employee fits in well (with your already-successful department or company) culture, he or she will typically do well, according to research from the Harvard Business Review and a variety of expert studies. Hiring for company culture fit does not mean hiring people who lack the education or experience to do the job. It also does not meanhiring people who all act the same way, know the same people or who are ethnically similar. This is a great way to create an echo chamber, with little diversity of thought, which can lead to a stagnant business that fails to grow or develop. You cannot hire for company fit — if you’re unhappy with your company culture. If current company performance or low morale is a chronic problem, you should first establish a healthy and successful company culture. You cannot hire for fit — if you’re not sure how to define your company culture (or if you’re not sure you have one).If you’ve never really thought about it, you should. Articulate your company vision. It will help you hire successfully and also help guide all your future business decisions. Hiring people with the skills and experience to do the job. Hiring people who will interact positively with others. Hiring people who are dedicated (are willing to dedicate themselves) to the same basic mission, standards and values that your organization has articulated. With all three of these boxes checked, your new employee will likely flourish and help your company move forward to success. Your employees can and will work together (and on their own) to advance and achieve the company mission. It’s likely that they will enjoy the work, gain a sense of accomplishment, stay with your company long enough to justify their onboarding costs–and remain to help you grow. As stated above, by hiring for culture fit, we’re not seeking to create a homogenized company culture or a “group-think” situation. With successful hiring practices, you will employ diverse people, who are capable of, willing to, and excited to, work toward the same goals and mission. Diversity helps furthur company growth by bringing together different skills, backgrounds, experiences and thought patterns, so that great discussions and debates will happen, new thinking will be applied to old problems–and new solutions, processes, products and services will emerge. It may seem complex and nebulous to define, create, and hire for, cultural fit at your company. But it’s actually simpler than you think. 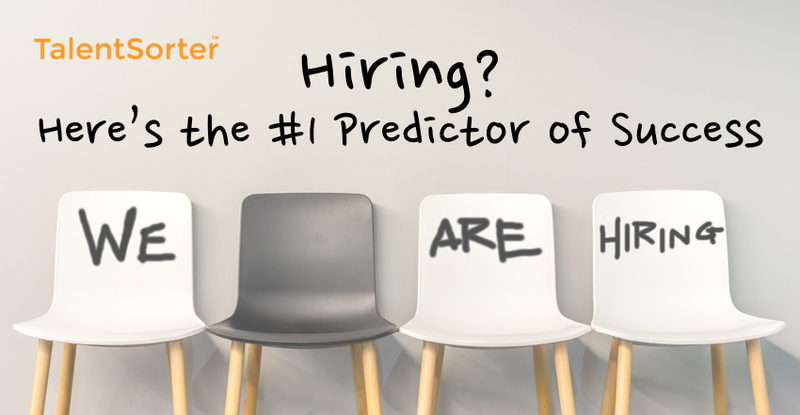 Talentsorter is here to help you. We’ve created a candidate assessment tool you can use to quantify, define and understand the qualities that make for a good fit for a specific position at your company. Our predictive analytics software help you understand your needs, identify success factors for the job and select the right individual.